After many decades of serving Canadian clients from the firm’s U.S. office locations, in 1989, Hodgson Russ signaled its dedication to the Canadian market by opening a full-time office in Ontario. The timing was appropriate for this move due to the new Canada-United States Free Trade Agreement and the significant impact it would have on cross-border business. Ten years later, the firm moved to its current location in the Sun Life Financial Tower, 150 King Street West, Toronto. Today, Hodgson Russ is still one of only a few U.S. law firms with a full-time office in Toronto devoted exclusively to practicing U.S. law. With approximately 40 lawyers, the firm has one of the largest Canada practices among U.S. law firms. 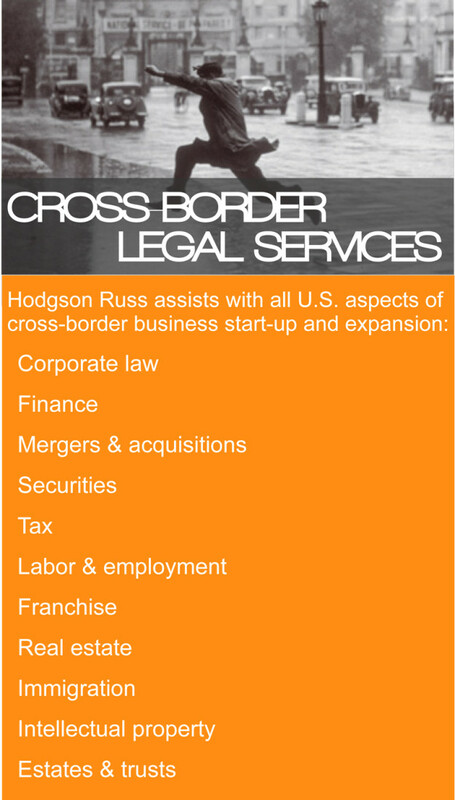 Hodgson Russ’s cross-border team advises clients on a wide range of topics, including corporate law, finance, mergers and acquisitions, securities, tax, labor and employment, franchise, real estate, immigration, intellectual property, estates and trusts, and most other aspects of business start-up and expansion. 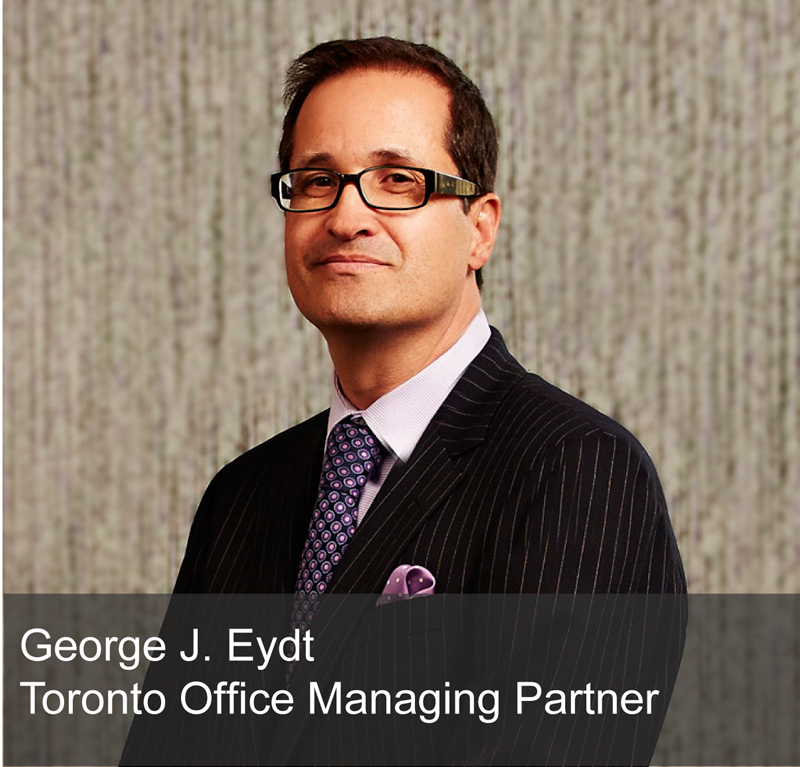 For more information, contact George Eydt.